In NPR's New Building, Everything Will Be Better ... Again NPR special correspondent Susan Stamberg has worked in all four of NPR's locations since it went on the air in 1971. As the company moves into its bigger space, Stamberg once again shepherds us to our new home. Starting Saturday, Weekend Edition is broadcasting under the fourth roof that's sheltered National Public Radio. NPR special correspondent Susan Stamberg has worked in all of the locations since NPR went on the air in 1971, and once again she shepherds us to our new home. NPR is heading to its fourth home, at 1111 North Capitol St. in Washington, D.C.
Our very first, temporary offices were at 1625 I Street, in Northwest Washington, D.C., just down the block from the Christian Science Church. No furniture at first, so we sat on the floor. We went down to the carry-out in the back of the garage for steak-and-cheese sandwiches smothered in onions. And we sounded — on our brand-new and only daily program — awful! We were broadcasting over really low-fidelity telephone lines. But we knew in 1973, when some 70 of us packed up our typewriters and carbon paper and moved to the new building at 2025 M St., that everything would be better. We went from landlines to satellite, which made us sound much better. The years at 2025 M St. brought more and more toys — and new programs: Weekend Edition Sunday, Talk of the Nation, and before them, Morning Edition. More staff, more member stations, more listeners. Eventually, after 21 years, we outgrew the space (by then there were 400 of us), and the M Street carpets were worn down from frantic races to the control room with reels of analog tape. Digital recording came later, when — after packing more boxes, cigarette lighters, Peabody Awards — we moved to another new building, 635 Massachusetts Ave. — where everything got better. Sitting in for Scott Simon on that moving day, Feb. 19, 1994, we broadcast from the studios of Voice of America, because studios in the new building weren't ready. 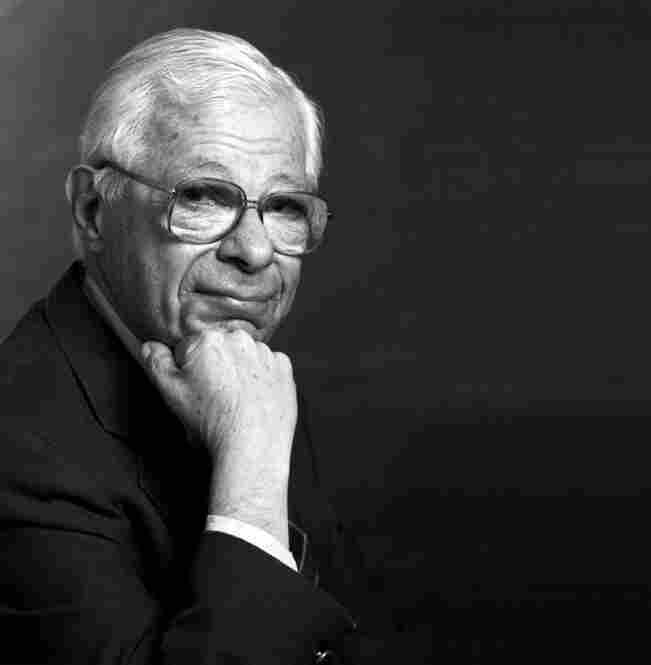 Always ready, wherever there was a microphone, Daniel Schorr was reviewing the week's news. It's Oz here, shiny and bright and full of sunlight and free coffee. Once we figure it all out — find the studios, our offices, the restrooms — everything will be better in the new building. Although, that voice in the elevators ... I agreed to record it, if they'd also let me say, "Fifth Floor, Lingerie." But that department has been closed due to sequestration. The rest of the place is open for business, however, as we step into a brand-new adventure. 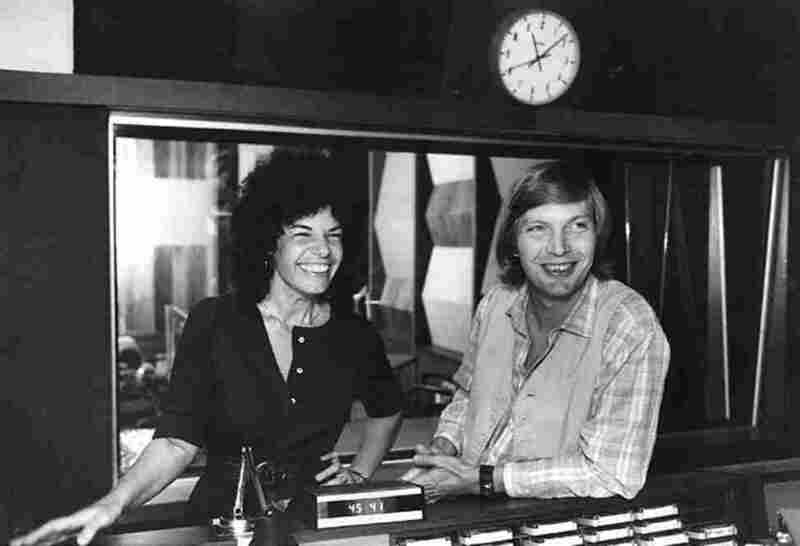 Susan Stamberg and Bob Edwards in 1978, at the M Street building. 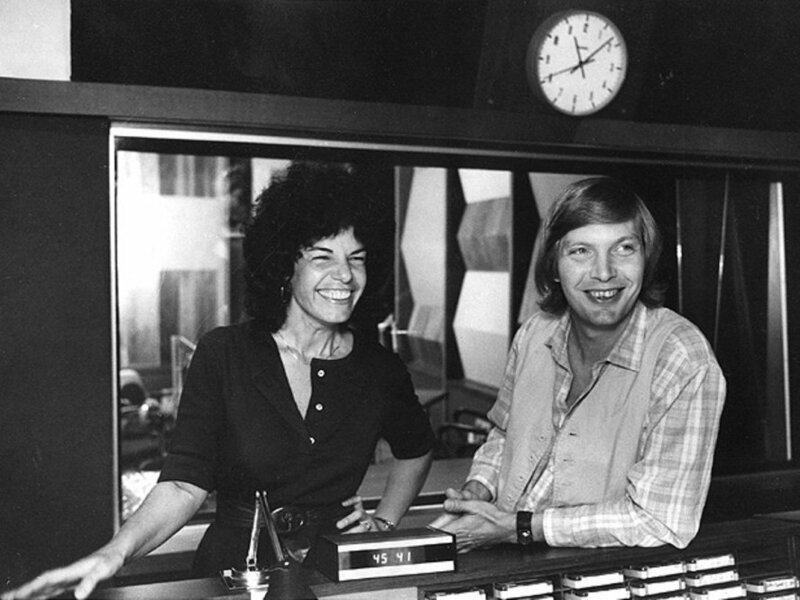 On Feb. 18, 1994, Susan Stamberg gave her farewell to NPR's M Street building on All Things Considered. The burgeoning NPR crew was heading to 635 Massachusetts Ave., which NPR is now leaving. 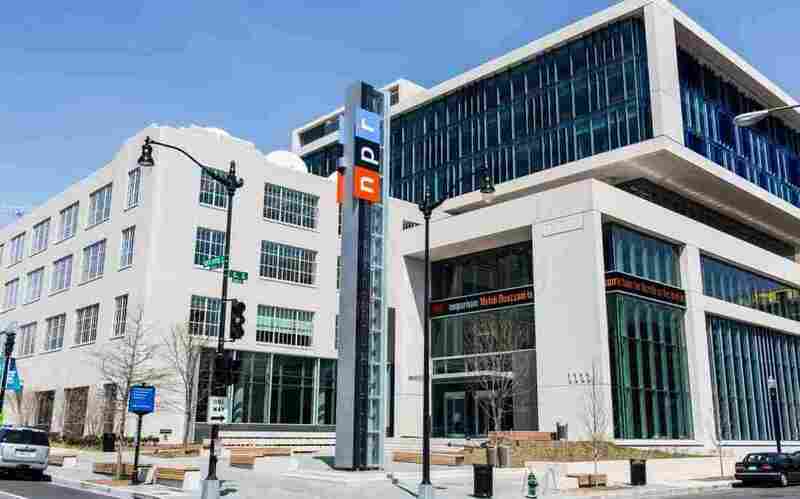 In her reflection of NPR's time at the M Street location, Stamberg spoke with then-Morning Edition host Bob Edwards, All Things Considered hosts Melissa Block and Robert Siegel, then-newscaster Carl Kasell and current foreign editor Ted Clark. She recounts how, before they even had time to unpack there in 1973, news broke that former President Lyndon Johnson had died. "In these M Street years, the Cold War ended, and too many other wars, civil and uncivil, occupied our broadcasts," Stamberg said. "War in Cambodia, Lebanon, the Falklands, the Persian Gulf, the Middle East. In recent years, in addition to slaughters in Bosnia, Somalia, Sudan, we reported peace and democracy breaking out in many places. A new world order began."